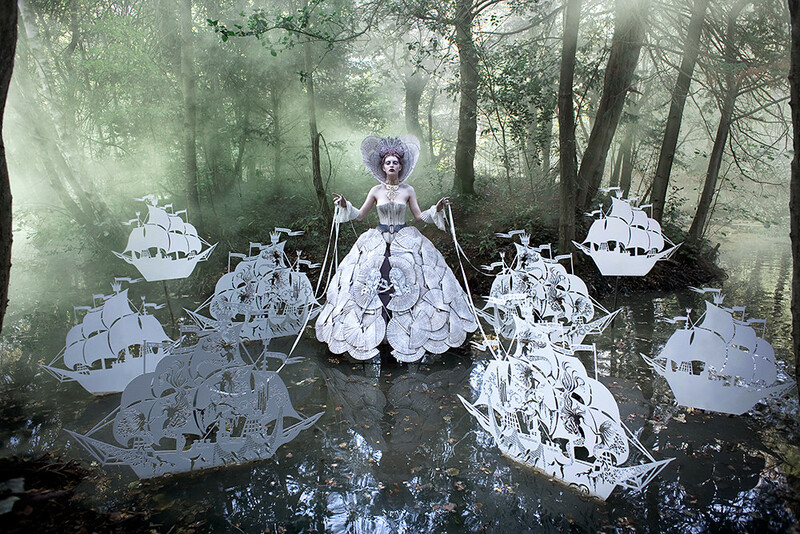 Kirsty Mitchell is the author of the best selling photographic Wonderland book. Inspired by the tragic loss of her mother, Kirsty's fantasy photos encompass the meaning and emotion behind each story her mother read to her as a child. 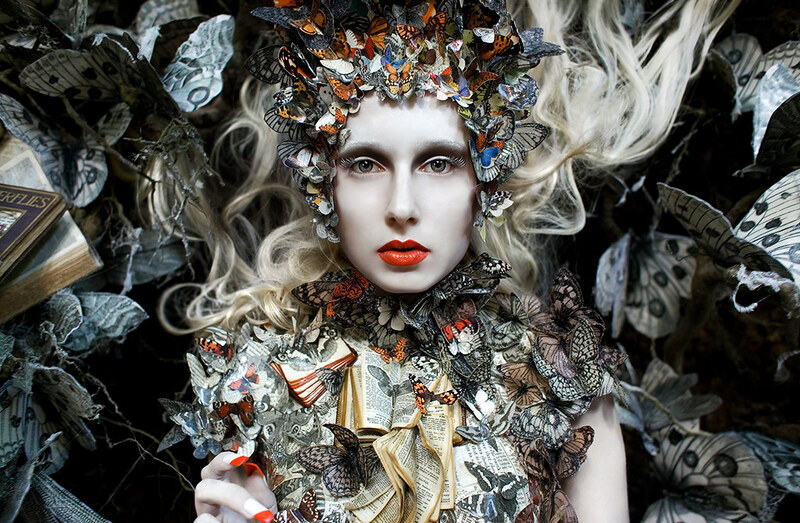 In the midst of life’s greatest tragedy, Kirsty Mitchell found peace in creating unforgettable works of art. Kirsty’s mother was an English teacher and storyteller at heart. Her passion for literature was shared with Kirsty from a young age and evoked the strong sense of creativity and imagination evident in Kirsty’s photographs. After Kirsty’s mother passed away from a brain tumor in 2008, Kirsty embarked on a journey to create “The Wonderland Series” which are a collection of photographs inspired by the books, titles and memories Kirsty had of reading with her mother. To create the Wonderland book that would hold this collection, Kirsty launched her own Kickstarter campaign that was so successful, it broke the website’s record and became the #1 most funded photography project in the website’s history with $446,524 raised in 28 days. That number pales in comparison to the ground breaking release of the world wide award winning Wonderland book. 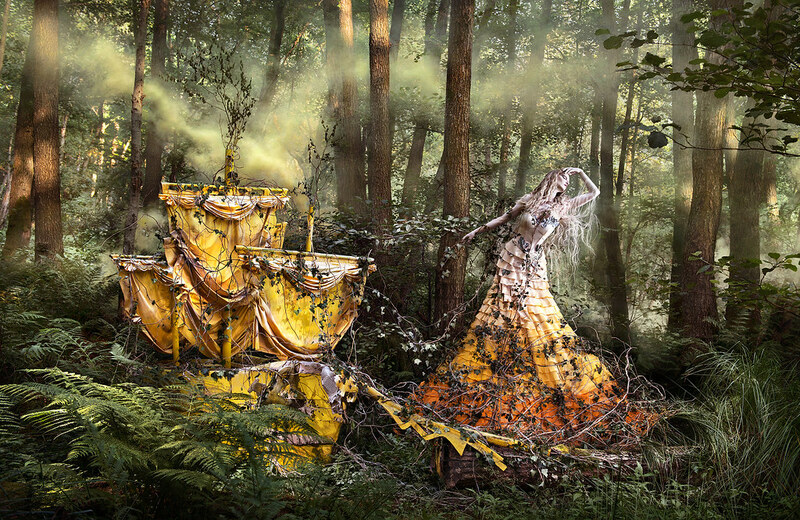 One reason why the Wonderland book remains alluring is because of the stunning detail in each photo. Every element is handcrafted and designed by Kirsty herself making every photo a breathtaking masterpiece. Sometimes just creating the elements for one photo alone can take up to 5 months. This is where Kirsty’s background in fashion design and textiles can truly shine. Today marks Kirsty’s 10 year anniversary on Flickr, where her love of photography was sparked. When she first joined the Flickr community, she was still a fashion designer in London and photography was nothing but a hobby. Kirsty elaborates on Flickr’s influence on her work. Kirsty describes her first experiences after joining Flickr as “extraordinary” in that she was exposed to this whole new dimension of enlightenment through other photographers and their work. As any active community member knows, Flickr can be used as more than a hosting platform, but a place to connect, interact, learn, and grow as a photographer. Flickr is often times the connection between your photography and opportunity. Although it’s difficult choosing your passion over what society tells you is realistic, Kirsty made this decision whole heartedly with the support and prosperity of her strong Flickr following. Without embarking on this inspirational journey to heal the soul, she wouldn’t have a best selling book containing over 640 mesmeric photographs each stunningly unique in their creation. Alongside the photographs are intimate excerpts from Kirsty’s personal journal detailing the meaning, emotion and creation behind specific photographs. One of the many reasons Kirsty’s journey is especially awe-inspiring is that she found elegance and grace in a detrimental period. Her ability to tool her passion in a constructive outlet that may now foster a love for photography, fashion or art in a fellow viewer around the world is what makes this story a rarity. It has been a humbling experience to witness such raw beauty. If you’re interested in seeing more of her work for free, make sure to view her Flickr. If you’d like to give the best Christmas gift in history, the Wonderland book is available for purchase on Kirsty’s website!